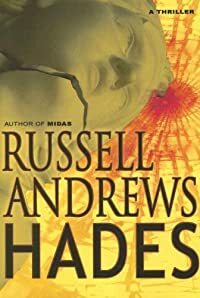 Hades by Russell Andrews, a Mysterious Review. Review: The third entry in the Justin Westwood series by Russell Andrews, Hades, has the Long Island police chief scrambling to clear his name when the investigation of the brutal murder of a wealthy local businessman implicates him in a potential cover-up. Hades opens with Westwood in bed with the widow-to-be. Though it gives her an airtight alibi, the district attorney seizes upon the situation to promote his grander political ambitions. Convinced the official authorities aren't doing enough, and using his own connections, Westwood runs a parallel investigation to uncover the truth behind the millionaire's death. Across the Long Island Sound in Providence, Westwood has another death to contend with, this one personal. His brother-in-law has been murdered, and though somewhat estranged from his family, he enlists their help in tracking down his killer. Though there is no apparent connection between the two killings, a third murder, this time of an FBI agent, uncovers evidence of a conspiracy far wider than anyone thought. The prologues are intriguing and the first chapter certainly puts an interesting twist on the plot to come. But then the author makes a serious error in judgment in writing what immediately follows, effectively rendering moot what is ultimately intended to be a pivotal plot point. Andrews subsequently proceeds to develop an overly complex story involving international commodity trading and Enron-esque financial management; a kinder, gentler Rhode Island mob; and a pair of ruthless Asian killers; all of which seems intended to compensate for a lack of suspense. On the plus side, Hades is well written and competently researched. Characterization and dialog are spot on. Given how far-reaching the plot threads are, Andrews deserves considerable credit in bringing them all together in the end in a credible manner. And, in contrast to many writers who use prologues that are promptly forgotten by both the reader and the author, Andrews effectively incorporates them into the overall plot. As an action-adventure thriller, Hades works, and works well. As a novel of suspense, it falls short. Acknowledgment: Hachette Book Group provided an ARC of Hades for this review.